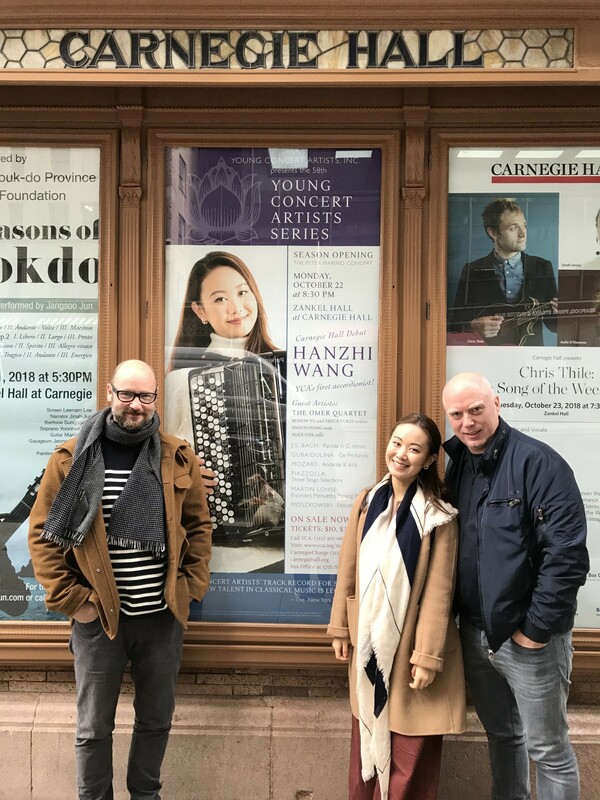 Monday October 22nd, 2018，Hanzhi Wang, who made her NYC debut at Carnegie’s Zankel Hall, was a delightful surprise. Ms. Wang dazzled all in attendance with her skills, her musicianship. She also offered the audience a surprisingly daring and eclectic repertoire in this (mostly) solo program. The concert received standing ovations from a full hall, and the reviews praised the performance. Chiquilin de Bachin by Astor Piazzolla, and her own work entitled My Story. " "This is THE big accordion event of the year in New York." "When played as Ms. Wang played tonight, listening to the sound gives a lot of pleasure. " "J.S. 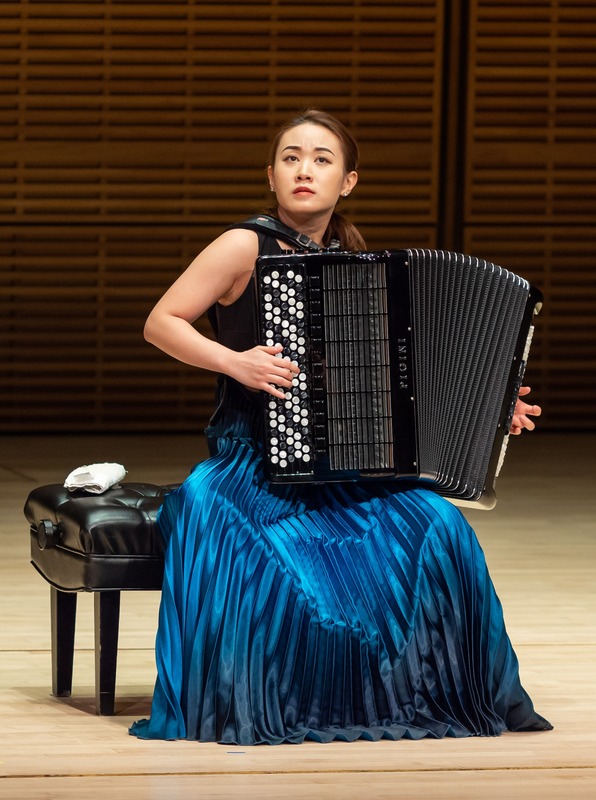 Bach's Partita in C minor was the opening work, in which Ms. Wang displayed staggering virtuosity and a gift for drawing colours and magical dynamics from her accordion. Wending her way thru the suite of dances, Ms. Wang displayed an inspiring mixture of passion and finesse. Agile coloratura and ear-teasing trills were counter-balanced by passages of resonant wistfulness. Putting a regal polish on every phrase, her sparkling technique held the audience in a state of breathlessness. " "A more perfect contrast could not have been imagined as Ms. Wang commenced on Sofia Gubaidulina's De Profundis. Ms. Wang encompassed all of this in a performance that was as thrilling to watch as to hear. 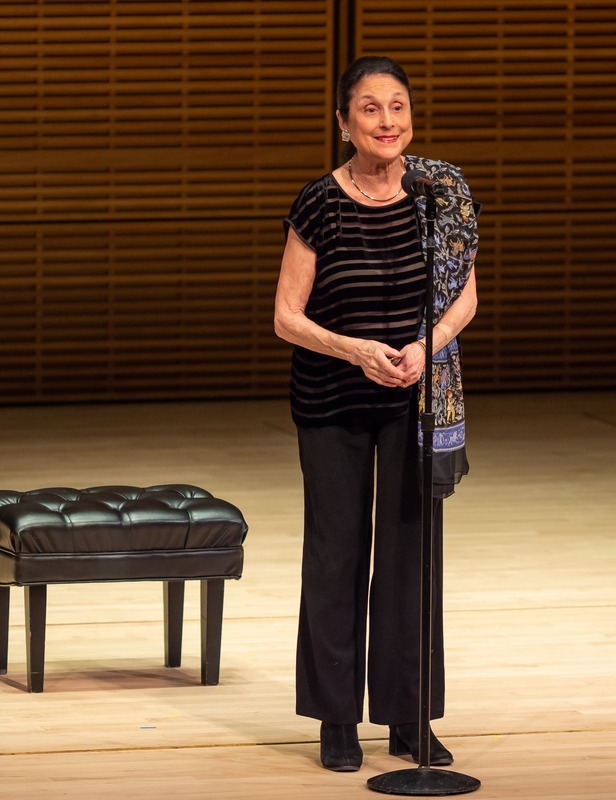 The Gubaidulina was all the buzz among the crowd during intermission." 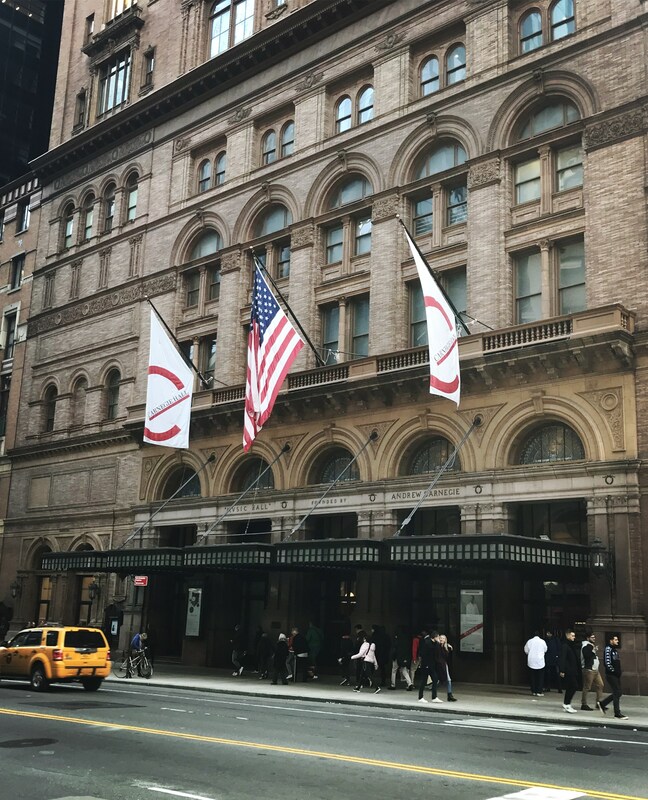 "Ms. Wang played Mozart's music with gracious charm." 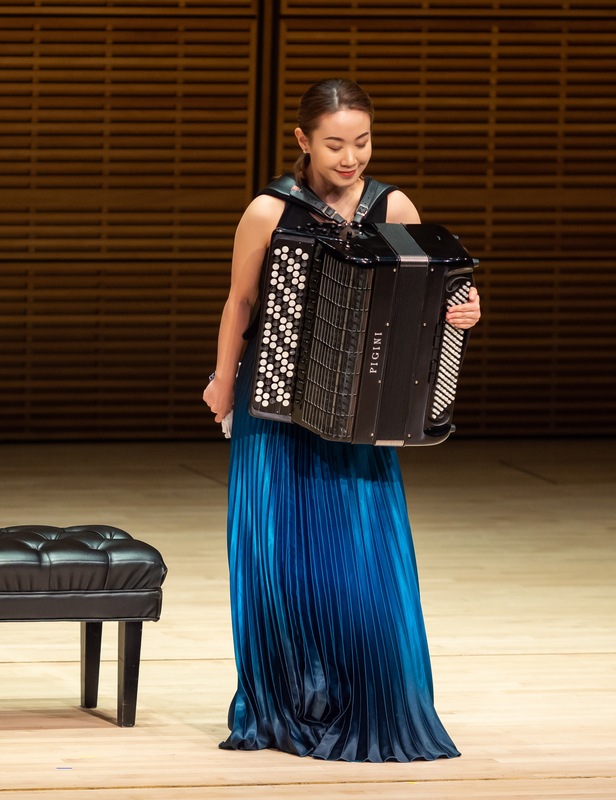 "Ms. Wang's playing Piazzolla tangos gave an irresistible impulse to the tunes...The audience greeted these persuasive Piazzolla interpretations with warm enthusiasm." 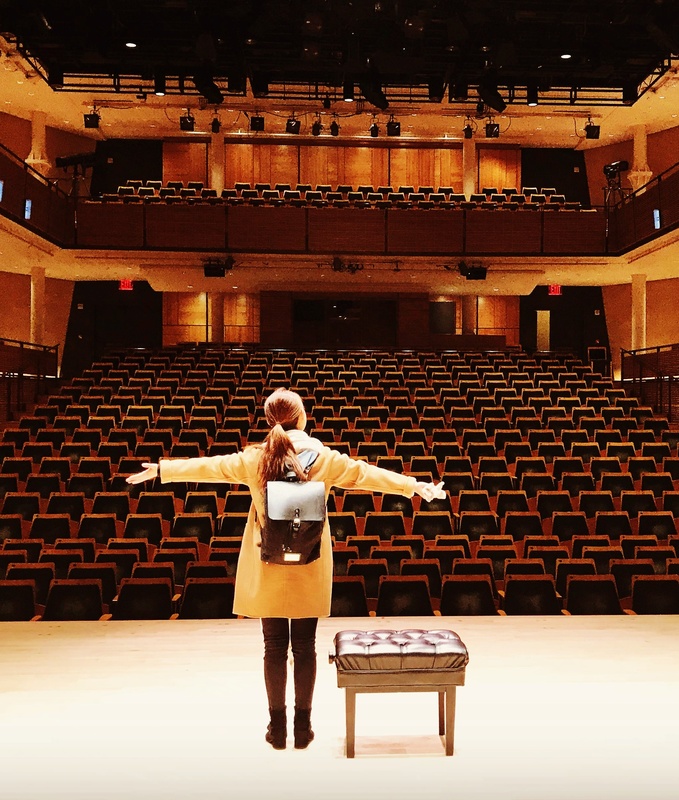 "Hanzhi Wang, in her 20s, takes the instrument — and her listeners — to fresh depths. ...this was a musician of stunning skill and heart....her soul is clearly born to it."